Our October featured blogger is Fatima from Blogs by Fa. Fatima is a UK lifestyle blogger who loves to travel, dine out and explore different horizons in life. We interviewed her to find out more about her and her blog. I had a blog since a very long time on which I used to write mainly about the restaurant reviews and my travels. No one had inspired me and at that time and I didn’t know anything about blogging. I have been writing since I was at school and often used to contribute to my country’s local leading newspaper called DAWN. After giving birth to my son, I had to stay at home because of which I started to feel that something is missing from my life. I used to miss going to work so I started my very own, brand new blog. The old one is still there but I don’t post anything there now. I wanted to keep myself busy with something rather than just being called a housewife and mommy. Today Alhamdolillah, Blogs by FA is a year and a week old now. 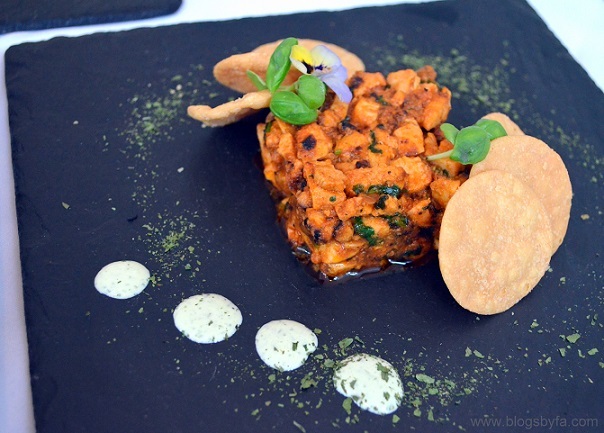 Blogs by FA is a UK lifestyle blog that focuses more on lifestyle and food. I do lifestyle product reviews and restaurant reviews mainly in London and Kent, and sometimes write about my travels too. I’ve always liked names that are different. My father calls me FA, so apparently that’s my nickname and that’s where the blog’s name has been derived from. It’s a simple and plain name, couldn’t think of anything fancy and initially, I wasn’t much sure what I’ll blog about so without much thinking, I just bought my domain. AS A PARENT HOW DO YOU MANAGE YOUR TIME AND CREATE A BALANCE BETWEEN BLOGGING AND PARENTING? 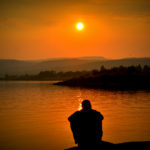 I try to blog twice a week but I do ensure there is at least one new post every week. Mostly, you can read a new post on the blog on a Monday, a restaurant review or any food related post. I give a lot more time to parenting than to blogging, at the ratio of 80:20. To manage blogging, I compromise my sleep and work on my posts after putting BabyN’ to sleep. Normally, I write the posts in my mobile notes and do the rest when I get a chance to use the laptop. Works pretty well for me and I’m able to save lots of time this way. YOUR INSTAGRAM IS FULL OF AMAZING PICTURES OF FOOD IN RESTAURANTS YOU GO TO. AS A RESTURANT REVIEWER DO YOU FIND YOURSELF NOW BEING EXTRA CRITICAL OF FOOD? Oh well! With that have said, I would definitely like to mention that my husband has become more critical than me. He’s the one who also points out things and observes everything so closely. I love food, who doesn’t? Especially if it’s cooked by someone! Blogging isn’t challenging but being a mommy blogger really is. For me, taking out time at times does become an issue especially when I’m trying to do something and my son starts pulling me. He doesn’t play alone, ever! Neither does he like to sit alone and watch anything on his iPad. I have to be there with him all the time. Otherwise, if there isn’t any technical glitch, blogging is quite cool. I love it! I’m hoping to monetize the blog so I can just work from home and earn a decent income. I have made great blogger friends and I wish to make new friends in future too. Besides, it greatly helps me in increasing my knowledge about different things. HOW DO YOU MOTIVATE YOURSELF TO KEEP WRITING ON YOUR BLOG? 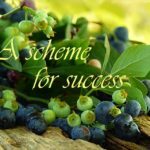 I can see the fruit of my hard work through the progress in my domain’s authority and brands contacting me showing interest to work together. That works quite well for me to keep myself motivated. I’ve got the opportunities to work with some well-known brands that are pretty cool to work with. Although I often get invites to attend events, I am unable to attend them because of my duties towards my son. It’s been a year and so far, the blog has progressed well. If I can see a ray of hope for monetizing the blog, I would definitely love to continue. In 5 years’ time, I’m hoping to start a travel blog too. WHAT ARE YOUR FUTURE GOALS FOR BLOGS BY FA? Definitely need to work on my social media following and work with more brands to ensure to fulfil my monetary goals. Don’t think, just start – Buy your own domain, don’t waste time. I bought mine very late. I just wish I had known about blogging earlier. Get social – Create your blogs’s social media accounts and show your presence everywhere. I just had my Facebook page initially and I created the other pages very late but now I realize that my Instagram seems to be the most popular medium. Join blogging communities – They are a great help and you get to learn from other people’s experiences. Contact PRs – Don’t feel shy or egoistic to contact brands and PR companies. They don’t bite, either they come up with an opportunity or they just don’t reply. You can easily find their contacts on Google or Twitter. Get to know fellow bloggers – Explore new blogs for inspiration and interact with your blogger friends. Blogging is a very learning experience, and I believe it always adds to your knowledge. I wish you good luck! Thank you to Fatima for taking the time to answer our questions. 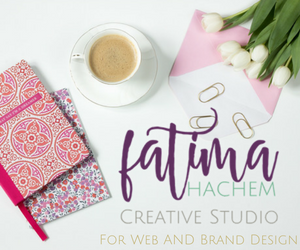 You can connect with Fatima on Instagram, Twitter and Facebook. 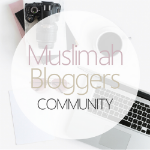 Extremely honoured to be the featured blogger on the ‘Muslimah Bloggers’ website.